Of all the virtuoso pianist-composers who followed in the wake of Beethoven, Franz Liszt no doubt did the most to impress upon the public and musicians alike the idea of the solo pianist as a Promethean figure, an orchestra unto himself, a being of expressive technical wizardry. Chopin and Schumann set the stage. Liszt delivered the most consistently and overtly heroic countenance. Others followed. Even today, in the music of such different composer-improvisers as Keith Jarrett or Cecil Taylor as well as modern classical composers for the solo piano, you can find something of the Liszt charisma, though it explains not all that much perhaps in the individuality of artists, the notes themselves or the general nature of the execution-attack--I am thinking especially of Cecil Taylor in that. Nonetheless Liszt provided the most influential model in his all-inclusive expressive pianism. The piano-as-orchestra is most obviously heard in his many transcriptions for solo piano of otherwise orchestral works. And quite naturally it can be heard in many of his fully mature piano compositions. It his last years he worked at incorporating Gregorian Chant and the choral contrapuntal way of Palestrina into his expressive palette for a number of religious-themed works. Christus, conceived of as a full oratorio for choir, organ and orchestra, was his best-known such endeavor. The 14-movement work was also worked out in a version for choir and piano alone, and another more obscure version took eight of the movements and reworked them for solo piano. Nicolas Horvath recently gave a world-premiere performance of the full eight movements in concert. The recording at hand [Christus (Hortus 100)] gives us the Horvath version as first recording (three movements of the eight have never been recorded previously). It's the story of the life of Christ as a symphonic poem. Each movement expresses Liszt's musical impression of an episodic chapter of the story. And subsequently the music covers a wide spectrum, from Gregorian chant derived counterpoint to chorale-like pieces, contrasted vividly with Liszt's later symphonically evolved romantic style, from ruminative quietude to roaringly faux-violent expressionism. 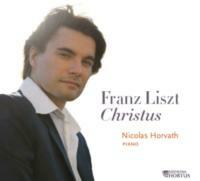 Here you experience later Liszt in all its moods, the Promethean pianist in all his moods. A few movements sound, as the liner notes remark, quite avant garde in chromatic expressiveness. The end experience is quite moving and orchestral in breadth and expanse. Nicolas Horvath handles the music with all the versatility, sensitivity, passion and technical heroics the music requires. It's most definitely a revelation to hear the complete eight-part piano version performed in its entirety. And Horvath triumphs in so doing! Definitely recommended, for all Lisztians, solo piano aficionados and those who want to experience the bridging of romanticism into modernism. Fabulous! "He's discovering the Beethoven late quartets for the first time. I envy him," said Morris L. (NY Phil) to his graduate student as they were winding up a lesson in which they were going over the percussion part for "L'Histoire du Soldat." I smiled. "So the late quartets are that special? ", I thought to myself. I knew them, not all that well. Chamber music was not something I had studied all that much or had been introduced to the official narratives about much, at that point. I was 19. I went back and listened more intently. These many years later, I still am. Listening intently, that is. So much for a slice of my own history. Fact is Beethoven's string quartets are not-to-miss. The late ones reach a height few ever attained in that context. But the early-middle-period ones have an eloquence and constructive-expressive excellence that too need to be lived inside over a long period of time to appreciate completely. Bring on the Hagen Quartet, a marvelous outfit that celebrated its 30th year in 2011 and toured the world as they performed the complete Beethoven quartets in 2012-13. They have been justly acclaimed throughout their career and now we have a new CD of their versions of Beethoven String Quartets op 18/3, 18/5 and 135 (Myrios Classics 009). At this point I am tempted to make a noise of satisfaction, a "mmmmm" and leave it at that. But that is not why I am (not) paid to write this little column more or less five days a week. It's certainly not why you are reading it. I've lived with the famed Budapest Quartet's versions of these for many years. As excellent as that outfit was, they did tend to overplay the emotive side of Beethoven (and others) in a way that while admirable, doesn't always speak to us in this now long modern world. 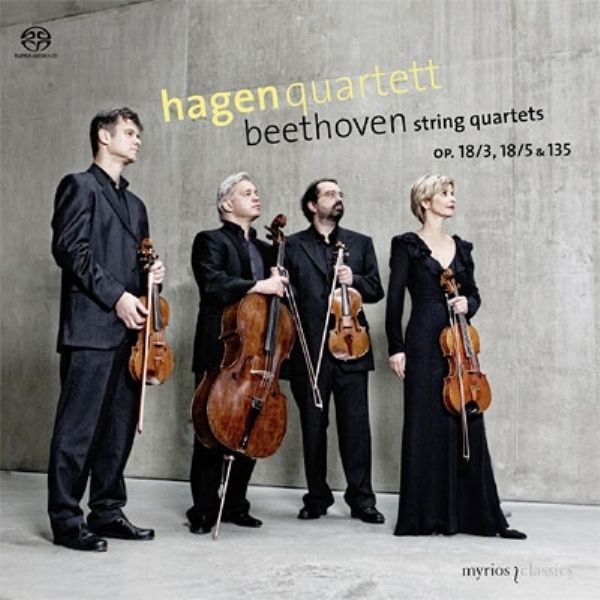 The Hagen Quartet has an impressive discipline, a wonderful ability to bring out the nuances of each passage, to maximize the potential of subtlety and dynamics at a micro level and not just as a sort of gypsy full-out gush. There is plenty of passion there, but there also is the savoring of every phrase. These are wholly marvelous performances, some of the very best you can hear of these works to my ears. They are fully inside the Beethovian quartet mind, as if they were present at each creation. The music comes alive fully, with orative power, like Laurence Olivier doing Shakespeare. Every particle is given due consideration for a whole that is ravishing. Ravishing. Now I wish I had them doing the other quartets in the cycle. In the meantime I hope you can hear this disk. It is everything you could wish for. For today. And tomorrow. Whatever doesn't kill you, the saying goes, makes you strong. Except music. Good, interesting, exceptional music makes you a different person, if there's enough of it at least. But it is something other than strength that it leaves you with (thought there may be nothing weak about it). 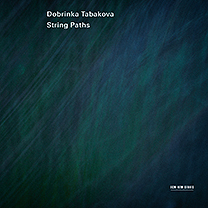 Bulgarian-born, London-bred composer Dobrinka Tabakova, and her album String Paths (ECM New Series B0018364-02), most certainly leaves you with something after you've heard it. I don't mean strength, particularly. Maybe it's courage, the courage to believe in the power of present-day music and its life-affirming qualities. But not the power that already exists, the power to energize those who already listen to, understand and love modern concert music. More like the courage to play her CD to people who don't think they like the "modern," the crowds of people who have subscription tickets to a concert series and promptly walk out when the modern piece is being played. I doubt that any of the works presented on this disk would prompt that reaction from such people. But it's not because it, say, sounds something like Beethoven, i.e., that it's neo-romantic, because it is not. And it's not because it is in any way watered down, lacking in musical substance and content, because that's not the case. At all. It's tonal, which for most untutored listeners is what they can understand. It isn't minimalist. What I suppose you could say is that it is neo-early. That in itself is a contradiction, I suppose, but there is a lyricism that is not romantic in her music. Like Arvo Part's, her music has a strain of the pre-classical, not always so much contrapuntally so (though there is a bit of it), but in the trajectory and lift of its melodic arc. And no, her music does not sound like Part's. The five works presented here have their own sometimes pastoral, sometimes folk-like, always lyrical mastery of string writing. The "Suite in Old Style" has Rameau in its roots, so that gives a bit more of a baroque feel, but not in any obvious way, because it transforms to Tabakova so fully that you do not anchor in another time period but stay fully in the now. And that can be said for all the works. This is music with ambience (and with an ECM sonic ceiling that certainly lends the music even more spaciousness than it already would have with other production values applied). It is music with soaring string lyricism and a tenderness and unfeigned sweetness that is more "early" than 19th century. It has a rusticity that paradoxically is also quite sophisticated. The string writing (and performance) makes exceptional use of the sonority of both solo and ensemble possibilities, not so much through effects as through natural resonance. Every work is a bit of a gem. The configurations shift yet there is a continuity. So you are almost unaware at first that you are going from a string trio ("Insight"), to solo cello and chamber string orchestra ("Concerto for Cello and Strings"), to violin, accordion and contrabass ("Frozen River Flows"), to viola, harpsichord and chamber orchestra ("Suite in Old Style"), to string octet ("Such Different Paths"). The soloists, mixed chamber instrumentalists and the Lithuanian Chamber Orchestra are all right where they need to be. So for someone like me, yes, the music gives me courage to recommend the present-day offerings to a total novice. And so I do. But the music of course does much more than that. It pleases, presents a sumptuous sonic repast of choice explorations, and (forgive the coinage) it conviviates! Tabakova has brilliance. She crafts a music of sweet light. Listen to it! It is always a good feeling when you enter a previously unknown musical artist-composer's world and find you can make yourself at home there. That's how I felt after hearing a few times Leo Kupper's Digital Voices (Pogus 21060-2) CD. There are six works included on the disk, one is a solo santur (hammered zither) piece played by the composer, and it's nicely done. It serves as the mid-point in the program, the rest having a particular singer showcased with electro-acoustics, natural sounds and/or instrumental foundations as a way of expressing the Kupper musical ethos. The final three works combine live instruments and electro-acoustics to surround and complement the vocal basso richness of Nicholas Isherwood. There is good use of multi-tracking to make of Isherwood's voice a veritable almost Greek-Orthodox-Buddhist-Chant choir at times, only in a modern expanded vein. Bells, chimes and other ring-timbred sounds combine with electronics and vocal melanges in a haunting series of soundscapes. The opening two works feature vocal performances-collages by Barbara Zanichelli (soprano) and Anna Maria Kieffer (mezzo-soprano), respectively. These pieces are no less interesting but map a (perhaps understandably, given the range) somewhat brighter sonic world. Think of the now classic Berberian-Berio collaboration "Visage" and you get some idea of the lineage that Kupper's Digital Voices extends out of and innovates within. There are written vocal parts at times which the singers extend with their own vocal elaborations; and abstract vocal expressions that follow guidelines mapped out by the composer. 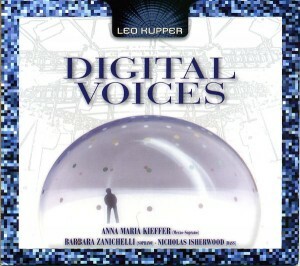 The vocal results are manipulated digitally to various degrees and integrated into the electro-instrumental digital matrix created by Kupper for each work. "Tour de force" is a critical phrase used perhaps too often these days, but I do not hesitate to use it for Digital Voices. These are landmark works for the most part, a triumph of the human voice holding its own, flourishing in a world of machines and digital automata. Kupper has created a series of works that embody the ultimate triumph of the human spirit over the human-made creations that threaten to envelop and enslave it. Yet Kupper's digital world in no way embodies the impersonality of automata. Rather it is a naturally flowing series of landscapes in sound, all expressing something very human. Beautifully done, enormously enriching, psyche-boosting music. Kupper gives us that and very poetically, too. Leon Kirchner passed away in 2009. He spent a lifetime composing works in his own style, modernist, chromatic-rubato-expressive yet abstracted in rhythmic time. Many like myself probably still have a copy of his Third String Quartet on an old Columbia LP, if you go back that far in your listening-accumulating. The work won him the Pulitzer Prize and it is very worth hearing. But perhaps like with me his other work is not as well-known to you. For that we have the remedy of an anthology of some choice chamber and vocal works on the CD Revelations (Verdant World 002). It has a nicely chosen cross-section of solo piano works, songs, and choral works spanning the years 1943-2006. There is quite understandably development and stylistic enrichment to be heard in Kirchner's music over time. 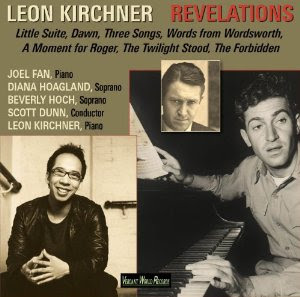 Nonetheless the charm and expressively miniature qualities of the 1949 "Little Suite" for piano has as much to offer your ears as the later 2006 "The Forbidden," again for piano. Time and tide had altered his musical vision somewhat, but there was something strong there from the beginning. The choral works haunt, the songs are difficult to sing, challenging, with post-Schoenbergian leaps and great demands placed on the artistry of the soprano. In the end we have a judicious survey of some choice small works that piques the interest, heightens appreciation of Kirchner the man and the composer, and satisfies the modern-seeking musical consciousness. Performances are very good, as is sound quality. Recommended! When something is as interesting, as good, as contemporary, as unexpected as Architect (Navona 5905), you don't just rattle out a few lines and expect to do it justice. But you cannot write a book about it, either, at least not now. So let me begin, and try to give the work its due. It's a chamber opera, a collaboration between Lewis Spratlan, who wrote the vocal and chamber group sequences, and John Downey and Jenny Kallick, who wrote the electroacoustic music sequences. Ms. Kallick also wrote the libretto. Mark Lane Swanson is the music director for the performance here recorded. There is an audio CD with the entire opera; there is a DVD that includes that performance and provides visual still/video images that greatly enhance the narrative experience, along with the libretto as subtitles (if desired). The inspiration for the opera was the architect Louis I. Kahn (1902-1974), a major figure who created buildings that took advantage of light and location-landscape. But the narrative thread of Architect centers around a mytho-poetic vision of the origin of the centrality of ritual space as embodied in buildings that captured light and ritual fire. And how they have centerpoints of human wonder and the celebration of existence. Iconic figures of the Trickster, the Creator-Spirit, the Universal Woman, the Architect, the Engineer have important singing roles. The libretto emphasizes mystical poetic declamations about the struggle to appropriate fire from the gods, the making of buildings as part of human-cosmic self-actualization. That's my take on the overall thrust of the story. It's heady and very resonant with the music (and vice-versa). A collaborative opera with three composers is unusual, of course, but Architect does not have a cobbled or pastiched feeling to it. On the contrary the chamber music/singing segments and the electro-acoustic segments meld together as the expression of a unified and dramatic libretto story-line so that you do not get and feeling of partition. The music is modern contemporary and extraordinary. Spratlan's chamber orchestra/vocal parts work quite well and have expressive clout. 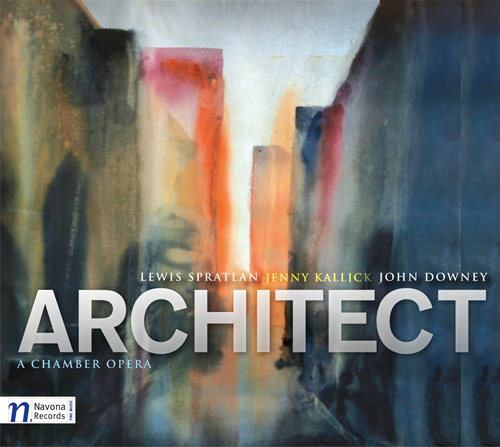 The electroacoustics from Downey and Kallick heighten the experience artfully. Video images on the DVD add another dimension: buildings in ruins, natural settings, stunning architectural structures, everything works together to create depth and mystery. You go away from this opera with a feeling of wonder. What is light to us? Fire? Why have we erected monumental architectural structures for so many countless centuries? What is it to be a brilliant architect and why are they heroic, almost god-like figures in our various civilizations? The performances are very good. Singing first-rate; instrumental parts played with spirit and care. Architect is a meditational monument in itself. It is a living, modern archetype, an opera of great depth, beauty, expressivity, fully of our time and yet somehow timeless. It could be counted as a major achievement of our era some day. In the meantime all with an interest in creative concert developments must hear this! Brahms in a way was like Bach. Both worked within pre-existing stylistic forms to create perfected musical expressions that were not as much cutting-edge as they were sublime. So Brahms took the romantic model set out most explicitly by Beethoven, later Schubert and Schumann and created exceptional music within its confines. We can hear this to excellent effect in two extraordinarily fine chamber works, the Clarinet Quartet and the String Quartet No. 2. Clarinetist Sharon Kam and the Jerusalem Quartet have newly recorded the two works as part of a CD on Harmonia Mundi (HMC902152). The results are lyric without being flaccid, muscular more than sentimental. There is passion but there is structural power as well. 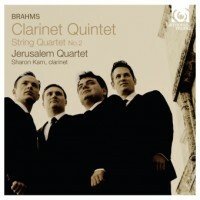 Both works are indeed sublime and Kam melds with the quartet for a very flowing Quintet. The Second Quartet too has extraordinary expressive flow. These are versions to live with hearing-after-hearing; they never seem in any way rote or overwrought and familiarity increases the impression. Highly recommended! The '60s in the US were a time when modernism, the production of electronic music and the releases of LPs devoted to same were at a height. It seemed like every major university and conservatory had resident modern-music composers, a fair number composed electronically as well as instrumentally, and there were a scattering of electronic music centers affiliated with schools across the country, the Columbia-Princeton Center being the most widely known. In addition to the new and/or by then well established Europeans, labels were producing music by Ives and the earlier generation of composers, serialists, Cage and those that followed in his wake, all readily available for the most part, many at budget prices. It was toward the end of that period that I became familiar with Pauline Oliveros and her electronic & electro-acoustic music via an electronic music anthology on Odyssey and a side of a ten-inch record issued as part of the short-lived but highly regarded Source book/record periodical. I found the music interesting but failed to get a clear picture of what she was doing, partially because there was so much to absorb back then. Of course she has become much better known since that period, for her electro-acoustics and instrumental works, some of which feature her unique avant-accordion playing. Her early period I never explored further for various reasons, mostly because I did not find any other releases to study. Until now. No Mo (Pogus P21023-2) brings that period back into focus with three substantial electronic compositions from the '60s. The title work, "No Mo," and its companion "Something Else" were created at the Classical Electronic Music Studio at the University of Toronto where she worked in 1966. The third work, "Bog Road" is a longer sound poem created in 1967 when she was Director of the Mills Tape Music Center at Mills College. All three works were a product of two summers of composition-assemblage. As I've been auditioning the CD in the past week of the current, very hot and humid summer here in New Jersey I've come to know and appreciate the music, and in the process felt some of the summer in these works. All three have atmospheric, dramatically electro-natural-sounding resonances of for the most part processually expansive non-periodistic noise elements, with the presence at times of pitch structures (especially in "Bog Road"), but not in the typical musical sequential sense. And they feel like summer to me. Summer in a natural landscape or summer in an infernal industrial world, but summer either way. "Bog Road" has much to do with the studio's location overlooking a pond, where frogs would sound their collective song. The Buchla box Oliveros utilized in composing the music gave her an arsenal of sounds from which to choose. As she states in the liners, the frogs and their ambient symphony inspired her to create an analog of their music in her own way. It's a beautifully evocative piece. "No Mo" and "Something Else" have a very different sound to them due in part to the means available: tone generators, noise sources, tape delay. These are much more dynamically extroverted, especially "No Mo," noisy but endlessly inventive. "Something Else" spans the sounds out into more horizontal narrative structures. The sound is less commanding, more expanding. In the end hearing these three works repeatedly opens up a new universe of understanding of the early music of Ms. Oliveros. They provide major electronic music poetics, perhaps at times a great deal more anarchic and sometimes more noisy than what some of her contemporaries were doing, but also (especially in "Bog Road") more ambient, more tuned to the representation-abstraction possibilities available from the generative electronics at hand and less to the external referents of the modern music then very much in the air. Maybe because of that these works have more currency to my ears than some other works of the era. 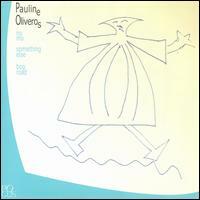 Oliveros the electronic composer was not tied to the prevailing musico-electronic language of the times. She went her own way. This may not be music for everybody. It's very avant, sometimes a bit abrasive, never condescending. But for those students of Oliveros and the avant garde, those seeking to understand the development of electronic music and what was happening in the second decade of its life, this one is highly illuminating and enjoyable. Music of the new and unfamiliar sort promises to go anywhere, do virtually anything. When it does, one is refreshed, revitalized. 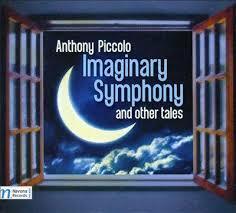 Anthony Piccolo has that capacity for renewal and shows it well on his CD Imaginary Symphony and Other Tales (Navona 5904). Nicely whimsical cover art greets you as you prepare to hear the music. And it fits nicely the music to come. Piccolo among many other things is currently the director of the children's chorus at the Metropolitan Opera in New York. The experience and what he brings to it gets reflected with two vivid works that place a children's chorus in the prominent role: the title work "Imaginary Symphony No. 1" for children's chorus and symphony orchestra, and the song suite "Fever Time, seven songs on words by Susan Kander, for children's voices, percussion and celesta." Both works are very much irresistible as much of, for and from childhood experience. The symphony has expressive sprawl, the song suite a more intimate poeticism. 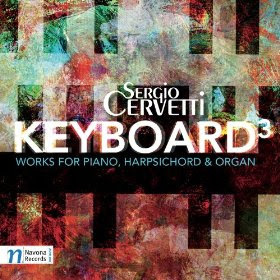 There is a touch of Carl Orff, especially of "Street Songs," lurking behind the scenes as a springboard influence on both works, especially the latter. There is a mallet pulsation that has a pre-minimalist world-encompassing quality on the song suite. In both cases there is a great deal more than that. Both works have a modern feel but a reach that goes back to the music of the last 100 years, redefined and encapsulated, remade. The children's choir give the music fairy tale and/or everyday innocence and a haunting quality. They are marvelous. The works are marvelous. The other works fill out the program nicely. The "Sonata for Cello Solo," "Flutes de suite for multi-flute soloist," and the "Fanfare-Sonatina for 4 horns" give welcome contrast and sonic texture to an already fascinating and rewarding program. Performances by instrumental soloists, the Moravian Philharmonic, the Campanella Children's Chorus and the Hamelin Children's Chorus are spot on and all one could wish for. This one refreshes, gives you pause, and enchants. Bravo Maestro Piccolo! 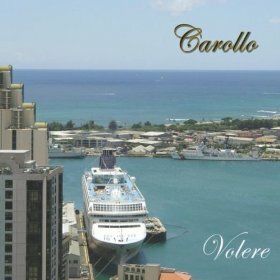 We last encountered American composer John Carollo on this blog with two really nice CDs of his orchestral works (see July 18, 2011 and November 25, 2011 posts). He's back, with a CD of chamber works which is somewhat different but equally worthwhile. The CD is called Volere (Musica Baudino MBCD 002). Carollo excels at creating highly evolved modernist chromatic-expanded chamber music. It is music of firm sinew, taut muscle, strong bones. Like in his orchestral music, Carollo (to mix the metaphors) draws bold, hard-edged melodic outlines. But unlike the larger ensemble pieces, he understandably relies less on color and more on black and white contrast, like a finely finished drawing in charcoal as opposed to a full-paletted, extensively worked-over oil painting. He gives us Two "Metamorphoses" for Solo Viola, the solo Piano Suites Nos. 2 and 3 (the second for two pianos), "Eterna Riconciliazione" and "Volere" for violin and guitar, three Piano Etudes, and the Trio for Piano, Guitar and Violin. Performances are completely idiomatic and very well realized. The recorded sound is very good for a self-released opus such as this. In short, we have an excellent sampling of John Carollo the chamber music composer. It is music of great power and seriousness, strongly constructed, rewardingly contentful. This is a music creator of much character and originality. Recommended. Velocity. For our purposes it involves the speed and concurrence of tones. They articulate together in ratios, rhythms. In a typical march piece the concurrences group in twos and threes in a pretty elemental fashion, in ratios where mathematically the addition, subtraction, multiplication and division are rather straightforward. Classical music, jazz, African and Indian classical music can have much more sophisticated ratio velocities. Then of course as students of nature and the industrial worlds we hear other concurrent velocities, some really quite complex. The sound of rain dripping off the roof combined with the pulsating whirs and sometimes anarchic clunks of a room air conditioner, coupled with the confluence of bird calls and an idling truck motor outside our window, for example, can create a complex velocity grid that ever shifts as the sounds beat over and across one another, sometimes coming together in a synchronous moment, most other times not. Some modern avant composers after Cage especially have become creators of analogous sound worlds. And so in many ways in that vein we have composer John Luther Adams and his Four Thousand Holes (Cold Blue 0035) a long, fascinating piece for piano and mallet percussion and electronically created "auras," manipulated sound envelopes of the instruments sounding tones--almost like the swell you get from playing for example a piano chord backwards, but minus the backwards initial tone and extended. Stephen Drury is the pianist, Scott Deal the percussionist. They are spelled by the Callithumpian Consort for the shorter companion piece ". . . and the bells remembered. . . ". More on that in a moment. And in the end this is a series of piano-mallet chords and tones in a diatonic universe along with their sound envelope sustains. The various overlapping ratio congruences and dispersals sometimes sound like a multi-bell pealing you hear historically in cathedrals on special occasions, each bell with a separate velocity and the interaction of them continually fanning out and contracting in processual groupings. The rhythmic ratios are complex and fascinating. And the musical tones interact like a recurring carpet weave pattern that ultimately changes over time, both in terms of velocities and tone recurrences. It is beautiful, open-ended music that has natural processual aspects which occur in such a natural way it feels less like the dancey beated minimal pieces and more like falling to sleep under a pine tree during a rainstorm. ", , , and the bells remembered. . . " is a far more contemplative, less busy, open-spaced work for struck percussion instruments--bells, chimes, vibes, etc. It too has synchronous and non-synchronous soundings, but with longer, less space-intense periodicities. It too has diatonic weight and an expansiveness that makes you hear the consonances anew. 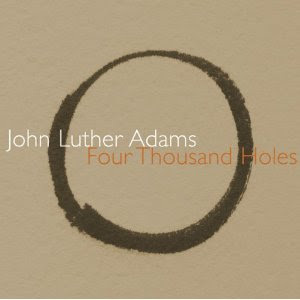 John Luther Adams has come through with music that gradually gets you into its world and, after repeated listens, rivets you there. Like a favorite spot you seek while repeating a particular hike again and again, the getting there fills you with pleasurable anticipations and the trip toward and back are an equal part of the entire experience. This is music that has that kind of rejuvenating quality. Another excellent example of the worthy kind of "post-" music of the past decades and how we have come open to new ideas of form as part of the legacy of some of the sound awareness aspects of the classic avant garde years. Beautiful! A sound hammock for your musical backyard! When a composer has an definite affinity to the brass ensemble and has absorbed the repertoire from the periods and locales when it had the most influence on the music in the air at the time, one can expect good things. 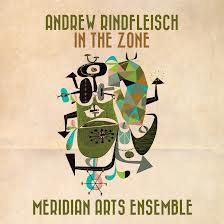 That is so if the composer is Andrew Rindfleisch, at any rate, as heard on the recent disk by the Meridian Arts Ensemble, In the Zone (Innova 850). What we have are four works for either full quintet ensemble, two trumpets, or trumpet and trombone, and rearrangements of an old hymn and four 19th century popular songs for quintet or quartet. The composer has a pronounced knack for combining the brass ensemble sounds of yesterday and the day before with the modernist touch and a personal compositional stamp. The music is very brass-idiomatic yet occupies a rewarding space almost outside of time, or as if we were on a brass-seeking time machine that is reentering the present through the past. It all works very well, in part because the Meridian Arts Ensemble plays the music with obvious relish, care, even devotion. They love this music and bring it to us in a most sympathetic light. But then why shouldn't they? It is so brass-proud! And so we pleasurably traipse through Rindfleisch's "In the Zone" (2009), "Four Fanfares for Two Trumpets" (2011), "Fanfare" (1988) for quintet, "A Little Fanfare Music (By Lady Macbeth)", "Four Vintage Songs" (2011), and Henry Monk's 1861 "Abide with Me". And we get it, the humor, high spirits and love of brass congregations. This one is pure fun but with the promise of purely weighty content! Recommended. When you listen to Peter Garland's first two String Quartets (Cold Blue 0031), as played by members of the new music group Apartment House, you enter a world you feel you've been in before, but something has changed. It's what he calls "radical consonance," which helps you get an idea of what's in store, but as a thumbnail only. The years he's spent with Native American, Mexican and Southwestern American music does also give you some idea of influences, and yet these quartets do not particularly emanate in ways that would point in those directions. The music often has a largo-esque, dreamy quality. There is a kind of primal archaicism of simple rural Americana or ages past--not really like the shape-note hymns that were a part of early American Colonial musical life and survived in various permutations in rural areas. Not really and yet there is something non-academic about the voicings and harmonies that follow a path of earthly "unschooled" expression like that. And yet it is a Garland sound and feel. The second quartet is a bit more complex rhythmically and sonically, yet both works work together to give a unified impression/expression, at least to me. And it is the sure hand of Garland that constructs a world that is not truly archaic in that the music is written in the full light of our present-day musical consciousness, and so there is a meta-presence there, so to speak, that generally would not be in some earlier musical expression of this kind, made for unselfconscious social music making in a local place. That is inevitable and not necessarily a bad thing, of course. These are highly original, very moving, beautiful works. They have their own logic, primal but transcendent. If it's post-anything, it's also pre-post-anything as well. What's important is the listening experience. You tend to savor each intervalic expression, each harmonic foundation as somehow looking back, forward and inside the memory-self to a place that gives us pause, brings us to a place before most everything was what it is today or when it will be what it currently is not. It's music that is the opposite of a cell phone. It does only one thing. It doesn't add things to the one thing but continues the thing until it has been made existent. . . then it goes on . . . to do another thing something like the first thing without being in any way identical. So there is nothing in the way of classical form going on here that I can discern, nor is there a collage collation of many things getting short spaces to be themselves. It's not either. 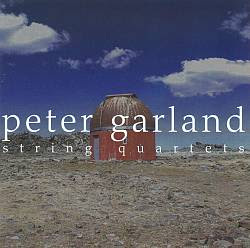 These are landmark string quartets of our current era. Very highly recommended. The harp goes back in our collective musical histories as far as just about any instrument, and yet today it does not enter the everyday life or local music making situations of many people. Especially in Euro-America, it is an instrument played almost exclusively by specialists. That is the case partially I suppose because the modern pedal harp is a complex instrument. Be that as it may the solo harp repertoire is also not as voluminous as that for, say, solo pianoforte. 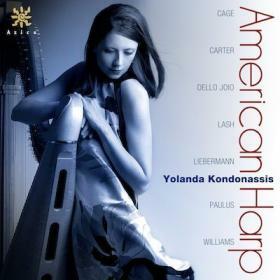 Combine all those factors and you have all the more reason to appreciate harpist Yolanda Kondonassis and her latest recording American Harp (Azica 71281). This is a well-chosen, excellently played selection of solo harp works by modern American composers. There are several world premiere recordings--of works by Hannah Lash, Lowell Lieberman and Stephen Paulus, and they are fine additions to the music. Then there are somewhat more well-known pieces by everyone from John Williams to Norman Dello Joio, Elliot Carter and John Cage (a very nice version of "In a Landscape"). The harp has the sort of legacy and sound that everything from a primal tonality to a complex sophistication seems right in the hands of a talented player. One finds oneself responding nearly instinctively to the old in the new and the new in the old that the works here evoke. Ms. Kondonassis plays brilliantly. And she brings out the beauty and saliency of each piece with great skill, imagination, and poetic artistry. This is solo harp at its most ravishing. It is wonderful to have and will brighten up your most cloudy days. As anybody who reads my blogs recognizes, I cover both assimilated "names" as well as those less well-known, essentially because I am convinced that in 100 years some may have great credence among musical cognoscenti. Of course not all. But I feel that it is in part my duty to listen to as much "good" music coming our way and then to cover things that are worth considering on any number of levels. In that light Knudage Riisager (1897-1974) was not a composer I knew very well when I received a copy of his second volume of The Symphonic Edition (Dacapo 8.226147). 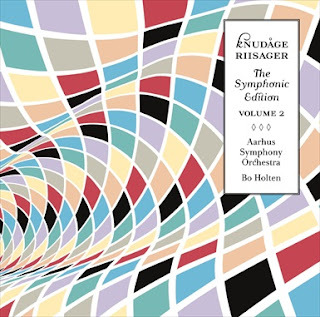 It's a collection of world premiere recordings of his symphonic works from the 1920s and 1930s, as performed abily and convincingly by Bo Holten conducting the Aarhus Symphony Orchestra. A Danish composer with something of the pluck of Nielsen and orchestration sense of a Sibelius, he is front and center in five substantial works for the volume. All have a weighty seriousness though also a kind of effervescence that brings them out of late romantic territory and more into a Scandinavian tonal modern-impressionist realm, though please understand these labels are just ready approximations. The liner notes quote a critic as remarking on the premiere of his Third Symphony that Riisager proffers a "music of surprise and caprices." I can see how in 1932 that might have been the experience. Looking back with so many years between then and now, the caprices are absolutely a factor, but surprises perhaps less--only because the syntax of music has had so many permutations since then, it's harder to be taken unprepared. It is on the syntax level though that Riisager gives originality to the proceedings. No individual theme or orchestral motive is so distinctive as to characterize a melodically unforgettable moment (and some have a definite Nielsenian flavor to them), yet it is the juxtaposition, the endless asymmetrical discourse that has novelty and appeal, even today. As one listens repeatedly to "T-DOXC" (1926), "Symphony No. 2" (1927), "Concerto for Orchestra" (1931), "Primavera, Concert Overture" (1934), and "Sinfonia (Symphony No. 3)"(1935) one is left with a feeling that here was a composer that produced very solid scores in that era, that had a certain way about him, but had not yet attained the sort of brilliance of some of his more illustrious forebears. Now I do not know his later work, so perhaps there are further developments which bring full identity to his music. In the meantime this is music worth hearing, of especial interest to Scandonaviaphiles and those who like to become acquainted with less-known composers of the early modern period. I am glad to have it and will continue listening with absorption. Perhaps you will too. 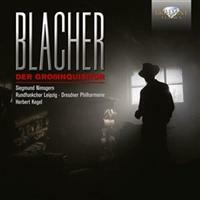 The figure of Boris Blacher (1903-1975) stands somewhat alone among German composers of the 20th century. Not a part of either the later romantic or earlier modernist camps, neither did he precurse the serial Darmstadt composers in any straightforward way. Yet his music is thoroughly of his era in its bold use of rhythm, shifting time signatures, melodic asymmetry. By the time of the Second World War his music was forbidden under Hitler. He was on the national register of Jews in Germany and his career seemed to be over. His life was in danger. Nevertheless he tried to continue composing. After much internal struggle he managed to complete Der Grossinquisitor (Brilliant 9437), a hauntingly somber oratorio based on Dostoyevsky's Grand Inquisitor sequence from the Brothers Karamazov. The definitive Herbert Kegel performance from 1986, recorded with the Rundfunkchor Leipzig and the Dresdner Philharmonie, Siegmund Nimsgern in the solo baritone role, is newly available in the States. I have been listening. As one might expect, this is not a music of joy. It is deeply dark like Dostoyevsky's subject, melodically fluid, grave and utterly original. The recorded performance is excellent, Sigmund Nimsgern outstanding, the Rundfunkchor and Dresdner Philharmonie under Kegel impassioned and beautifully moody. It is a masterpiece of the war period, not quite like anything Blacher did in later years, and utterly moving. As far as I know this is the only available version. It is a must for anyone with an interest in historical-modern European composition. There are few European cathedrals as venerable and iconic as that of Notre-Dame in Paris. From a musical perspective, too, stretching back to the middle ages and the famous school of vocal organum, there are few if any with as rich a history and as important a one. Much music having to do with the critically advanced French organ school originated there, for the obvious reason that there has been a line of organist-composers in residence stretching back many hundreds of years. 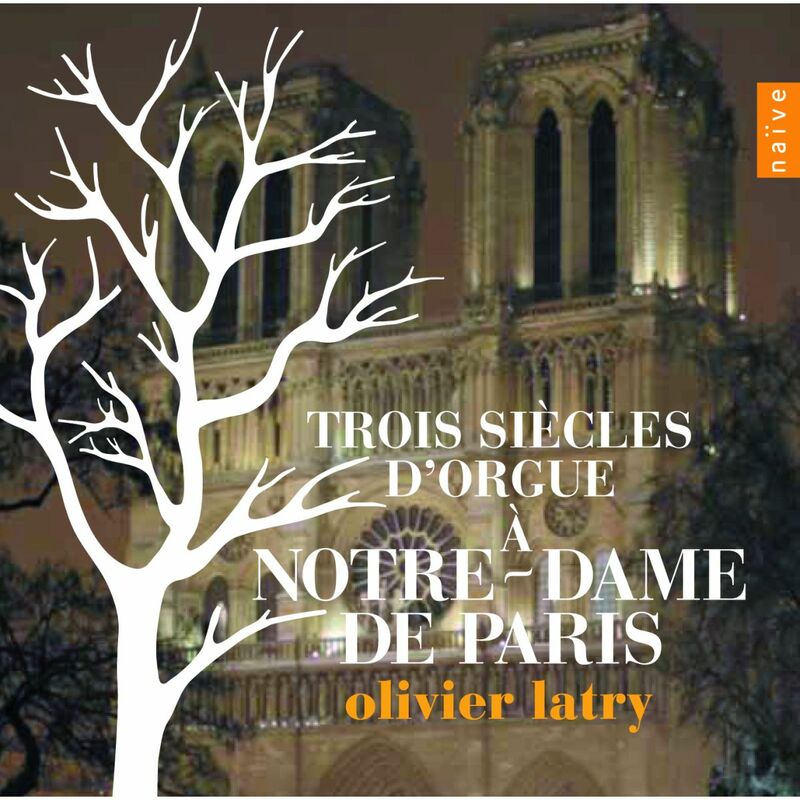 The current one, Olivier Latry, has recorded a disk of 300 years of compositions associated with the cathedral, Trois Siecles d'Orgue a Notre-Dame de Paris (Naive 5338). The 300 year period corresponds more-or-less to the age of the modern organ installed there, so there is a one-to-one relationship of music to instrument that makes perfect sense. And the music as a whole shows its stripes as an evolving body of work of a definite consistency in spite of the passing years. In brief there is much in the way of dynamics, color, symphonic drama, and an improvisatory style in part encouraged by the function of the organ in the liturgical service. As expected the music is recorded on site, gloriously so. 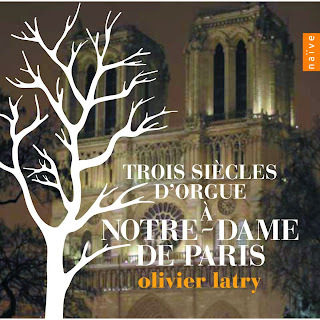 We cover much ground from the baroque pomp of Balbastre in his "marche des marseillois et l'air ca ira," Vierne's wondrous "carillon de westminster" with its variations on the very familiar time-denoting theme, to the present day and a boldly sonorous improvisation by Latry himself. In between there is music that gives us a potent earful of the marvelous instrument and the breathtaking music composed for it. It will no doubt be manna for all who love the French school, the early-to-modern organ music that forms such a key part of our musical heritage. Maestro Latry is marvelous, the sound is marvelous, the music is marvelous! The best music of Johann Sebastian Bach has in it "Bach code" that's capable of reiteration a virtually limitless number of times. Bach himself would be astounded to hear it, probably, if he were alive today. You get the feeling he wrote his music on an "as needed" basis for the situations and occasions called for, that otherwise it was simply a matter between him and his maker. Be that as it may--centuries later we encounter performance after performance and still remain steadfast, dedicated to the idea of his genius. There's something generative, some code in the music of you will, that when conditions are right produce new versions (performances) that generate the excitement we've been feeling for a long time now. Of course it's not just any old performance, but one that recaptures the sequences in ways that give us pleasure, that brings things out anew. 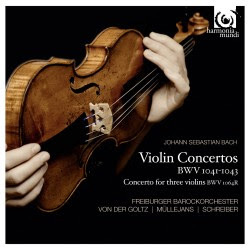 Such a version is certainly generative on the recording for today, the Freiburger Barockorchester, Petra Müllejans, Gottfried von der Goltz and Anne Katharina Schreiber: Bach's Violin Concertos BWV 1041-1043 & Concerto for three violins BWV 1064R (Harmonia Mundi 902145). Schreiber plays the solo violin part for the BMV 1041-1043; she is joined by Müllejans and von der Goltz for the three violin work. Keep in mind the latter work survives in the scoring for three harpsichords and has over the years been adapted to three violins as well. It's no matter because both versions are wonderful. The Freiburger Barockorchester does baroque music with the emphasis on period accuracy, in the instruments and instrumentation, in the way of articulating. Schreiber and the other soloists take the same approach, as you can understand. So the four works, great to have in these performances, are not in anyway romanticized, sentimentalized or otherwise made into something formerly "contemporary" in a non-baroque way. A hundred years after the peak Beethovanization-of-Bach years, an authentic "early music" version is nearly the norm, or at least it is for me. That doesn't mean one should weed through your Bach stacks and eliminate "non-authentic" versions. Of course not. It means that the music is profoundly generative. What coming generations will do with the music does not especially concern me, except that there will be a place for multi-versioned excellence come what may. James Adler, composer, pianist, and associate of like-minded folks. 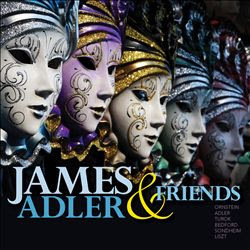 James Adler & Friends (Ravello 7871) brings him together with a good piano and an interesting series of somewhat brief works by himself and others, notably Leo Ornstein, Paul Turok, Seth Bedford, and Liszt. The music is modern post-romantic expressionist, or in other words it bypasses pointillistic Darmstadt or aleatoric sorts of modernism for rubato cascades of Rachmaninoff without the Rachmaninoff. If that's not exactly it, description-wise, think of what Leo Ornstein was up to and much of this music is in that realm, no less the Ornstein piece. Tenor saxist Jordan P. Smith joins Adler for the latter's "Reverie, Interrupted" (2009) and Malcolm J. Merriweather adds his baritone vocals to Adler's "A Song of the Road" (2010), otherwise it's just Adler as pianist-interpreter of his and other's works. The inclusion of Liszt "Mephisto Waltz No. 1" is unexpected but it IS great music and Adler gives us a composer's view, emphasizing things that hit him about the piece while in no way attempting to compete with the master pianists that have performed this piece before him. Beyond that this is music to capture your ears. It may not bring about the raising of the Titanic (and what would?) but it does captivate and enchant. 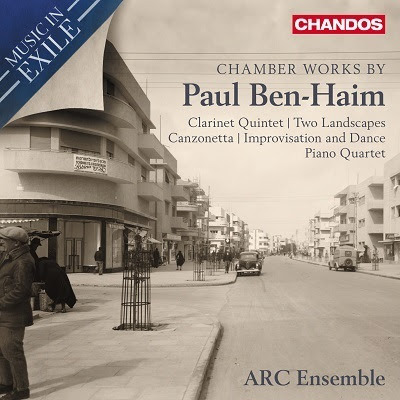 Chandos begins what seems a very promis- ing series of albums entitled Music in Exile with a compil- ation of the Chamber Music (Chandos 10769) of Paul Ben-Haim (1897-1984). Nee Paul Frankenburger, Ben-Haim was assistant conductor under Bruno Walter and Hans Knappertsbusch before fleeing to Palestine in 1933 and making Tel Aviv his home. The ARC Ensemble gives us impressive versions of works written both before and after exile. Ben-Haim's music is very well-crafted, modernist neo-classic, with a shade of neo-romanticism. Parallels in the level of thematic invention and development might be found in contemporaries Weill and Hindemith, meaning that he was a composer of great ability. 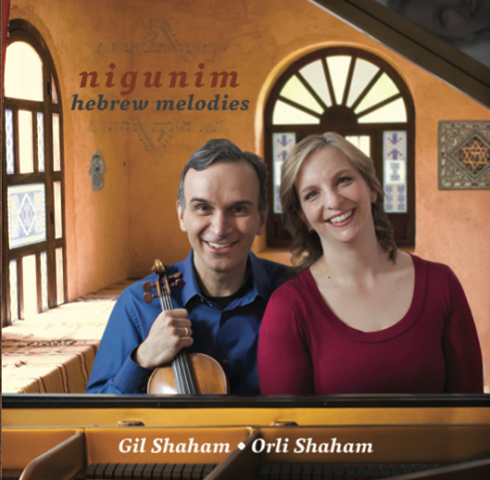 A penchant for the minor key, forays into dance forms and the occasional direct use of Hebrew themes distinguish the composer as immersed in Jewish musical heritage, but not in any exclusive sense. He has a musical personality all his own. The quality of works and performances make this inaugural volume an auspicious event. Ben-Haim is a major artist and the ARC Ensemble and soloists see to it that we savor the music for its considerable merit. 20th century musicophiles should not miss this one. It is a landmark!